Wishing everyone a Happy Merry Season's Christmas Holidays! 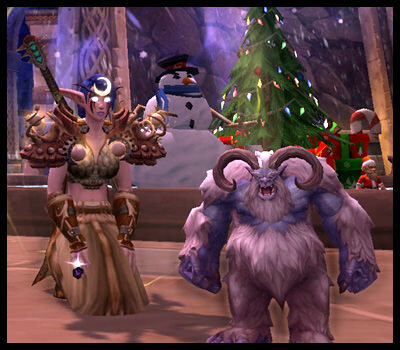 Don't forget to loot the presents under the Winter Veil tree in Ironforge and Orgrimmar (starting December 25). Here's hoping that 2018 will be better, brighter, and filled with lots of fun new pets. May RNG be kind to us all. 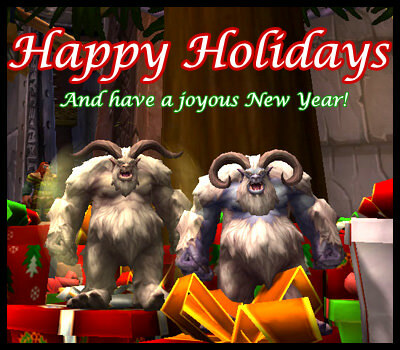 Feast of Winter Veil has begun! There's a new pet to collect, the Globe Yeti. And what would a new pet be without its own controversial implementation? Unlike the other Winter Veil pets, the Globe Yeti is a wild pet that has a somewhat unique spawn. It can only pop up within the giant snow globe in Ironforge and Orgrimmar during Winter Veil. Despite being a wild pet, it doesn't appear as such on the mini-map, so catching it spawn will take a little more effort. I highly recommend making a macro to /tar Globe Yeti and then keybinding the "Interact With Target" function. This way you can quickly target and engage one in battle once it pops up. On top of those things (and here's the kicker), only ONE spawns every ~30 minutes or so, making this 'first come, first serve' capture frustrating for some collectors. It's literally a race to see who can click and/or interact the fastest, not to mention additional competition due to connected/sharded realms (excluding RP realms; finding a low population RP server might be your best bet). It's a pretty straight forward capture for some, and a less than enjoyable experience for others. Some collectors may not have time to camp the area, while others might not be lucky/quick enough to nab the Globe Yeti as it spawns. I should also mention that I haven't seen it happen firsthand, but there's some concern that non-pet battlers are trolling by killing this wild pet as it pops up. If the Globe Yeti can be targeted and killed by player spells and abilities, that needs to be changed ASAP. With its limited spawning, it would be devastating to see one die because of another player deciding to AOE the area. The in-game holiday event lasts for a little over 2 weeks, so hopefully there's enough time for everyone to collect a Globe Yeti of their own. But even so, it doesn't feel very good or festive to stress about collecting this battle pet before the event ends. Personally, I think this spawn mechanic is interesting but could use some adjustments to make it less punishing for collectors. Especially since this is a limited-time pet. I'd love to see the number of spawns increase incrementally as the event goes on, so by the end of Winter Veil there are multiple Globe Yetis up for collectors who are either unlucky or have time constraints. That or perhaps a reduced spawn timer. I absolutely hope those looking to collect the Globe Yeti will be able to this year. Waiting an entire year for more to spawn is brutal. Granted, it could be worse. The Yeti could be depending on RNG *shudders*... so I'm certainly thankful that that's not the case. There are a couple of things one can do to increase chances of collecting this pet. 1. Create a character on a low population, RP realm. 2. Make a /tar macro and use a keybind for the "Interact With Target" function. UPDATE: More information on Mailemental can be found here. It's a reward from an achievement that you can earn once you've completed the initial questline. Getting the quest, though.... that could be the trickiest part! PTR testing has begun! There are three notable updates so far, but I'm sure we'll see more as future PTR builds get implemented. Currently the Pet Journal doesn't list how we'll obtain this pet. But according to datamined files, it looks like we might have to complete a questline that has us delivering mail around Azeroth...? It's unknown how we'll even get the quest though. This comment may shed some light, as it implies there might be a breadcrumb prerequisite. The catch? It might have limited spawns in Dalaran. We'll have to wait and see. Jodmos from the WarcraftPets forum discovered a new set of Pet PVP challenges, à la Family Familiar/Fighter. Each achievement requires 10 queued PVP Pet Battle wins with a team of all level 25 pets from the same family. 10 achievements total, and the meta-achievement awards a nifty new tabard, Master Trainer's Tabard. Personally, I'm glad it doesn't reward a new pet. But instead provides something new to strive for for pet PVP enthusiasts and a cosmetic reward for their efforts. It helps keep Pet Battles PVP optional for *PET* collectors, but still adds some content for those that do choose to enjoy that aspect of pets. !! SPOILER WARNING !! READ AT YOUR OWN RISK !! Some datamined dialogue involving Uuna was discovered in the PTR files. For those unaware, Uuna's backstory is that she died on Argus yet her soul was infused into an Ur'zul. When you "collect" her (or adopt), you're liberating her spirit from that monster. In 7.3.5 we might see a continuation of Uuna's journey, although it's unclear when, where or how. Wowhead Site Director Perculia speculates that it might be related or part of the new allied race Lightforged Draenei questline. Will we be able to help Uuna's spirit find peace? What happens if we do? Does she leave us forever? It's still early on in the testing phase, so we'll have to wait and see. As always, everything above is subject to change and nothing is guaranteed to make it to live from the PTR. You should find Uuna, before it's too late, imo. To be honest, this was very difficult to write. I finally earned Prestige Rank 7 this past Thanksgiving holiday. Hooooooraaaay! *many sighs of relief* It only took me... a year and 3 months lol. For those still working on and/or dreading the Prestige grind, don't take how long it took me to heart. I wasn't consistent and periodically took LOTS of time off from doing PVP WQs. If you do 3 Towers plus at least 1 FFA WQ a day (with Battle Standard of Coordination dropped for all of them), it will take you roughly 178 days (or about 6 months) to reach Prestige 7 from scratch. If you do battlegrounds/arenas, you can earn even more and the grind will go even quicker. However, the PVP WQs are just the basics and bare minimum. 6 months may seem like a long time, but considering the current estimation for the next expansion is some time summer of 2018, if you were to start the Prestige grind RIGHT NOW and stick with it, you should earn Prestige 7 before Battle For Azeroth. Also, keep in mind that Blizzard's current plans are to keep these rewards post-Legion. They might not, however, be earned in the same method as currently, in BfA. We still don't know how they'll be awarded in the future, but at least we have peace of mind that they will not be Legion-exclusive. If you can't earn these companions now, you *should* be ok and have the opportunity to (possibly in a different way) in the expansion. !!! DISCLAIMER !!! : THIS IS SUBJECT TO CHANGE AND NOT SET IN STONE; complete the Prestige grind or don't using your own discretion. There was a live Developer Q&A today, and I'm just getting a chance to sit down and watch. No pet battle questions were directly answered, but we did get a bit of clarification on what will happen to the PVP Prestige pets post-Legion. Here's a clip of when Game Director Ion Hazzikostas addresses Prestige. Keep in mind that this does NOT guarantee ANYTHING. If you watch earlier (couldn't clip the entire Prestige answer), he notes that they're still unsure but re-evaluating what to do with Prestige, Honor, and the whole thing in BfA. It does lean more toward making current Prestige rewards still available, even after this expansion is over. Perhaps in a different manner than how we obtain the rewards now, but still available. "Regardless, we want to make sure the Prestige rewards that are currently available will still be available in whatever form we have in the future. We'll have more information to come basically." This is better news than no news at all, IMO. I'm glad to hear that their current plan is to not simply retire the current rewards come BfA. You can watch the full Dev Q&A, or read about it on Wowhead. In terms of Pet Battle announcements, Wowpedia had an interview with developer Jeremy Feasel and very briefly discussed the topic. That's as much as we know for now. I'm sure once Battle for Azeroth testing/datamining begins we'll find out more. I saw a couple of neat creatures during some of the WoW panels that I'm hoping will be battle pets in BfA. The little kid turtle... could that be Tottle? There are still quite a few unknowns about the upcoming expansion, and lots of questions that will need answering. As far as I can tell, most Pet Battle content will be unaffected by the system changes coming with BfA. I have to wonder how old-world farming for rares, mounts, pets, collectibles, etc. will be impacted by scaling though (if at all). Yesterday I finally completed Glory of the Tomb Raider with my guild and collected Micronax! I would say it took about 3-4 weeks of maybe 1 night a week (2-4 hours each) on Normal to complete the entire thing. Some nights we knocked out more than a few, while other nights we were only able to complete 1 or 2. Yesterday was dedicated to the very last one, Dark Souls, quite possibly the toughest of the bunch. The adventure of collecting this pet, however... I was and still am less than enthusiastic about it. Relieved that I've completed it, yes. But I wouldn't say that being relieved equates to enjoying the journey, yenno? After undergoing the experience, I still stand by my opinion that "Glory" type raid achievements shouldn't award battle pets. Pets are such a niche part of the game, not as widely desirable as a mount or a title, that tacking on a pet reward just puts extra strain on collectors and possibly even guildmates/friends. I can't tell you how troublesome it was just trying to get guildmates on for attempts at X achievement or coordinating schedules. We're an average guild and largely casual in this expansion, so our dedicated raid nights are spent on just clearing current content. Achievement runs usually do not qualify as content for official raid nights. Would there have been more interest had Glory of ToS rewarded a mount? My past experiences with my guild say yes. Not all are achievement-hunters but nearly all wouldn't turn down a shiny new mount, heh. I admit I'm completely biased in my preference for no future raid achievement pet rewards. 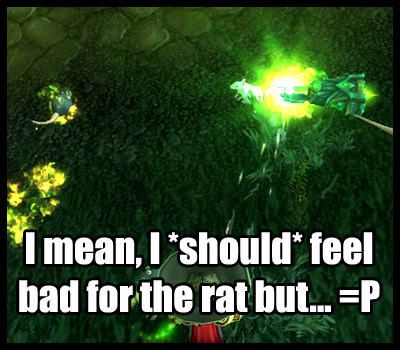 However, it should be noted I'm not against ALL raid pets. 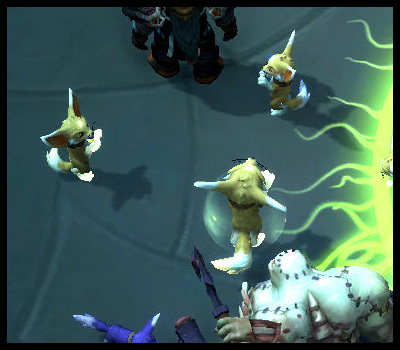 Raid achievement pets, however, normally require a group to complete X mechanics. Further down the road you might not need 10 people, but I could see more than a few of these achievement still requiring a group of at least 2-5. I think the best example of a solid way to implement raid pets is the Dream Whelpling. It has a unique spawn mechanic where you need to defeat the last boss of the Emerald Nightmare raid, and then little green whelplings pop up as wild pets you can capture. It's a fantastic idea that's relatively balanced and interesting. It passively incorporates group effort/participation with collecting, removes a lot of the RNG, and really fits in with the overall environment/atmosphere of the raid. As far as I remember, you don't even really need to be there to complete the raid, just find someone with the lockout (the whelplings respawn). Anyway, I'm glad I collected Micronax while it's still considered current content. I honestly didn't think it would happen until an expansion or two down the line. Would I advocate future raid pets to be obtained in the same fashion? No. I think there are better, more balanced, and more interesting ways to add battle pets into raid content. Just my two cents! UPDATE: A hotfix was released so battlers can once again use both treats simultaneously. Yay for stacking battle pet experience buffs! @WarcraftDevs: "We've just applied a hotfix that should make it possible for you to again feed your pet both a hot dog and a hamburger, as nature intended." A changed was noticed yesterday regarding pet treats. Normally, battlers can use one Lesser Pet Treat with one Pet Treat for an additional experience boost. However, as of yesterday afternoon this is no longer the case. The treats do not stack at all (and there's been one report of the buff being removed from the character completely upon logging out and back in). Because treat stacking (just one 25% + one 50% though) has been around since MoP, many wondered if this change was just a bug. It turns out that someone discovered a way to stack the 50% treat all the way up to 1000% and then published this exploit online. (Won't name who or the site, as I don't want to promote it - if you're that curious, it's not that hard to find.) While one treat stacked with one other type was tolerated by developers, stacking so high was undeniably excessive and understandably worrying. So it would seem this nerf was a quick way to stomp out that particular unintended usage of treats. Another thing that I found notable that came up during the treat discussion - Lesser Pet Treats are now much less desirable and usable since they no longer stack with the better ones. I mean, if you can only have one experience boost buff, why choose the lower one when a higher one is available? The Lesser treats drop pretty regularly from the Zookeeper shoulder enchant, which is great for newer battlers who have little to no access to the better treats. But for those that stocked up Lesser treats for the sole purpose of combining with the 50% one, perhaps an exchange rate at the pet vendor should be put into place. Hand in a few 25% treats for one 50% treat, so yenno, all of those Lesser ones don't just go to waste. This bandaid fix for the exploit was extremely unexpected and sudden - it's unfortunate and feels rather unfair for those that were not exploiting and simply using a mechanic that has been around for as long as two types of treats have been in-game. Hopefully we see a better solution soon and battlers will be able to use both treats simultaneously again. Or something else is introduced as compromise. My bank alt is positively overflowing with extra/duplicate battle pets, so what else can I do but to find good homes for these little ones? I'm offering some FREE battle pets to collectors. No gold/trade necessary. See this page for a list of all pets available, and instructions on how to request. Some limitations may apply. Prefer to give away these pets to those that will keep them over selling/trading them. Help me find warm and welcoming families for all of these pets! This past Tuesday was an exciting day for pet collectors. A new pet, Shadow, was released! Initially this pet was discovered hiding in the Pet Journal on Monday. Its journal entry stated that it was a Blizzard Store pet, however it was not yet listed in the shop. 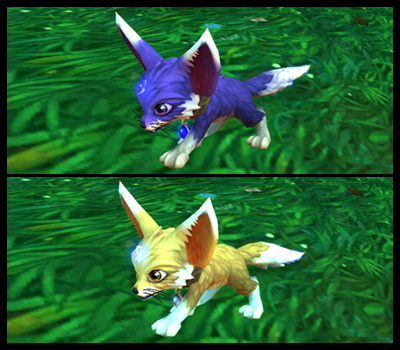 Some speculated BlizzCon, while others guessed charity pet. Tuesday rolled around and what do you know? Shadow was released, and as a charity pet to boot! From September 12, 2017 through December 31, 2017, 100% of the adoption fees will be divided and donated to American Red Cross Disaster Relief and the International Federation of Red Cross and Red Crescent Societies (IFRC) Disaster Relief Fund. 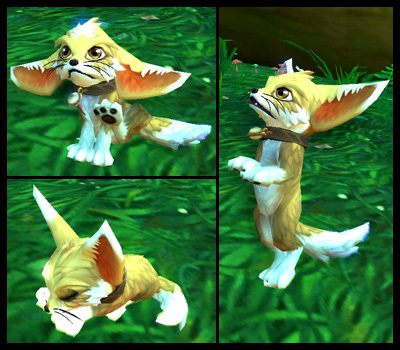 According to Blizzard, this little fox was originally scheduled to be announced as this year's charity pet during BlizzCon in November. However, due to all of the recent natural disasters around the world, Blizzard wanted to help aid relief efforts as soon as possible, so Shadow was released 3 months early (normally the charity pet is made available in December). I won't go into the debate about Blizzard's choice of non-profit organizations - yes, I know there are some glaring and valid criticisms for Red Cross. If you feel very strongly about Blizzard's decision to donate to them, provide Blizzard with constructive feedback on the matter, and suggest other NPOs for future promotions. Immediately after adopting my baby fox, I began playing with it in-game (and thoroughly spammed Twitter with my discoveries and screenshots haha). Shadow has 3 states - Neutral, Light, and Dark. It also has some fun idle animations, sits and scratches itself, sleeps, sits, and even dances! Ahhhh my heart exploded with cute overload hehe. Also, apparently Shadow is more feline than canine, as its a lap...fox? And enjoys sitting on a roomba, similar to cat pets. In Patch 7.3, collectors discovered an undocumented change made by Blizzard to the PVP Prestige companions. Those that reached Prestige Rank 1 and Rank 7 on one faction could use a level 100+ alt of the opposite faction and buy the companions of the same earned rank(s). Originally you needed to complete the rank up four different times, twice on alliance and twice on horde. The 7.3 adjustment means the grind to collect all four companions is essentially cut in half. Needless to say, there are passionate feelings on either side of this; it's a pretty divisive topic. I understand both sides, and each has some valid points. My personal take on this change? I'm glad for it and I think it's great for the collecting community overall. The communication and execution was less than desirable though, and that's where my biggest criticisms lie. UPDATE: Dibbler will NOT be from a Gnomeregan Pet Battle Dungeon. There's currently no indication that this dungeon will be in 7.3. However, @patf0rd discovered where the Leprous Sack of Pet Supplies will come from, a new trainer! Environeer Bert is a new trainer with an all mechanical team. 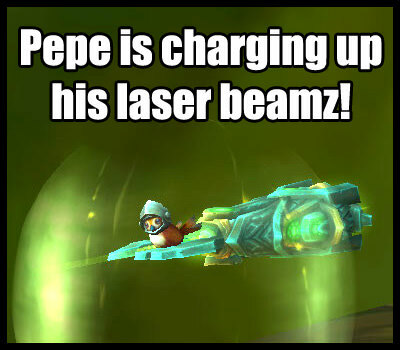 He can be found in Gnomeregan, in the left tunnel after exiting the elevator. He offers the daily quest, 'Bert's Bots', which awards the new bag. I went out to try out his battle and I have to say, I think it's a bit overtuned and buggy right now. As detailed in @patf0rd's @patf0rd's Wowhead comment comment, M-37's Firebomb ability does Elemental damage instead of Mechanical as advertised in the tooltip. This combined with how hard some abilities hit makes me think this encounter is overtuned. Especially when compared to a similar all-single-pet family trainer, Crysa. The dot also targets pets that burrow/use evasion effects, which makes it even more brutal. I don't think the difficulty level matches how accessible Bert's daily is. As always, everything discovered/datamined from the PTR is subject to change before patch release. We're still very early on in the PTR testing, so some content may still be WIP or not yet available. I can't wait to see what else 7.3 has in store for pet collectors and battlers! Lately I've been diligently completing the PVP tower WQs on my main (alliance) and an alt (horde). But this hasn't always been the case -- I admit that up until this point, I haven't been keeping up with the PVP WQs. Like at all. And I fully recognize that it's because of my own laziness and aversion to anything PVP-related that I'm so behind on Prestige ranks (barely halfway to Prestige 2 on my alliance, and a little further on my horde). I also realize that it's kind of silly to be so against Honor grinding this expansion when PVP tower WQs are available. They're more PVE than PVP. BUT! I must mention that I HAVE had someone of the opposite faction try to kill me at one of the PVP towers. Luckily I was on my Druid so it was fairly easy to run away. I couldn't go back to finish that WQ for a few hours though, for fear of being drawn into actual PVP again. And the free-for-all WQs? I don't even try. Anyway, all of this has made me realize how demoralizing this grind is. The desired end goal of this grind (Prestige 7 for the Dutiful Squire and Dutiful Gruntling) seems SO very far away for a non-PVPer that's lagging behind. The end of Legion is probably still a ways off, but there's still some anxiety/panic for me when it comes to these PVP pets. So far, developers have offered up zero information on whether or not the current Prestige rewards will be available after this expansion ends and the next expansion begins. Expansion-exclusive rewards would mean there's only so much time left to grind your face off to reach desired ranks. Added pressure of a deadline makes it even less enjoyable, especially for someone like me who didn't like this task to begin with. What could developers do to make the PVP pets more accessible as we get later and later into Legion? Or even possibly after Legion? I took to Twitter and brainstormed a little with a couple of others! I believe they did this for Prestige 1, but the others were increased. To make it take less time before the expansion ends, I think reducing the Honor required to reach each rank would help a lot. Currently the pets are tied to Prestige 1 and 7, but what if the requirements were changed? Maybe complete a new quest? Or new achievement? And then you're allowed to purchase the pets off a vendor. The reason why I'm not a fan of these pets being cageable is because developers seem to WANT them to be exclusive, and WANT us to participate in a specific activity to earn them. Cageable would go against that design philosophy. Increased Honor earned from simple PVP-related tasks would help a bunch. Coupled with lowered required Honor to reach each rank, would make the race to collect these pets before the end of the expansion less stressful. This one seems most likely to happen -- remove the Legion-Prestige rewards, but you can still collect them by reaching X Prestige in the next expansion, and if you have enough Marks of Honor you can buy them using that currency. My concern is whether or not Marks of Honor will be reasonably collectible by non-PVPers like myself, and IF they attach a Prestige requirement to this, whether or not there will be a more "PVE" option to earn Honor like the PVP towers in Legion. Those are just a few ideas on what could be implemented as either a catch-up mechanic or new method of collecting these pets. I'm sure there are many other good ideas out there. Who knows? Maybe developers already have something in store for us in the future. Bottom line for me -- This grind is very discouraging and I sincerely hope there's a plan going forward to help PVP noobs like me, and to make sure the rewards are more accessible late in the expansion. I'm doing the PVP tower WQs daily on two characters, not even Prestige rank 2 on either toon yet, and the end seems so far away. Add to that I Just. Don't. Know. How much time I have left to reach Prestige rank 7 before the end of the expansion and possibly the removal of the Prestige rewards. If there's no time limit and the rewards will be available indefinitely, great! It won't be as nerve-wracking of a grind and maybe a catch-up mechanic won't be necessary. Edit: Thanks to @Evolyn_Warcraft, here's a handy chart breaking down Honor earned and how much it will take to reach Prestige 7. According to this, at the current rate I'm going (3 PVP towers a day which equals to 1035 Honor/day - using a Guild Battle Standard) it will take me approximately 339 days to reach Prestige 7, minus 1.5 Prestige ranks and give or take a few days. That's almost an entire year. The WoW Secrets Discord has done it yet again, and I was fortunate enough to watch the adventure unfold. Sun Darter Hatchling location has been discovered, and after an entire day of brainstorming, testing, and puzzle-doing...they unlocked how to collect this pet! Here is the original Google Doc that documented their progress: Cavern of Consumption. Huge thanks to Sinnie for keeping this document up-to-date throughout the day. I won't go into detail on every step necessary to collect this pet. A better guide will be posted on Wowhead soon, I'm sure. However, I will list the consumables you need in order to "solve" all of the puzzles inside the cave. Edit: Here's a guide from the Secrets Discord channel, and a Wowhead guide/comment: here. Do not click off any of the buffs. Just continue using consumables as necessary to bypass each obstacle. If at the very end, in the cavern with the lake and egg, you cannot use your Scroll of Intellect -- only then should you click off all other buffs. And thank you to Blizzard devs for creating this interesting puzzle!! Patch 7.2.5 is set to release this coming Tuesday, June 13. Here's what pet collectors can expect/look forward to in the patch! 10 New pets! Some of which may not be available at the start of 7.2.5 though. There are three new pets to purchase from the vendor using a new currency that's earned from the Challenge quest of the scenario, and an achievement pet for completing Pet Battle Challenge: Deadmines. Prerequisite for Normal Deadmines: Complete the Normal Wailing Caverns Pet Battle Dungeon. Prerequisite for Challenge Deadmines: Complete Normal WC, complete Normal Deadmines, have at least 15 max level pets. If you complete the Challenge Deadmines quest every single week, it should take you 6 weeks to collect all three vendor pets. Here's an overview of the Deadmines Pet Battle Dungeon from the PTR. This is more complicated than the Deadmines Pet Dungeon and not as straight forward when it comes to collecting the pets, but this scenario has a chance to drop two new bronze dragon pets. Both pets have a chance to drop from Time-Lost Wallet. Time-Lost Wallet is only sometimes awarded from Sands of Time. Sands of Time can occasionally drop from mobs inside the scenario and special Time Chests. After earning enough reputation to reach rank 5 with Chromie (Bronze Ally), you can choose the tier 5 talent, Fortuitous. This increases the odds of looting Sands of Time, which in turn increases your chances of receiving Time-Lost Wallets. Rogues get a short quest chain in their Order Hall. Completing it allows you to pickpocket a new currency, Coins of Air, from mobs on the Broken Isles. Griftah (in the Rogue Order Hall) sells two new pets for 10k Coins of Air each. Completing Glory of the Tomb Raider awards one new pet. It can only be completed in Normal mode or higher. The Tomb of Sargeras raid does not open up until June 20 (see raid release schedule here). Sun Darter Hatchling was added, however it's currently not collectible as far as we know. There's little to no information on where this pet will come from. 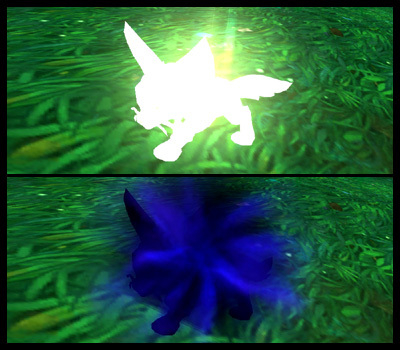 The Pet Journal says it drops from an Oddly-Colored Egg, but where can this egg be found? The pet's flavor text might hint that we'll need to wait until Argus. "This unique species of faerie dragon is not usually found on Azeroth." A late addition was added to the 7.2.5 PTR. With the patch set to release next week, this pet really seems more like an afterthought than a well-thought out and planned reward. The pet, Micronax, is earned by completing the meta-achievement Glory of the Tomb Raider. This achievement can only be done in Normal mode or higher. The pet is BoP and not cageable. Needless to say, some pet collectors are not all that enthusiastic about this. Myself included; it really saddens me to see the community divided and/or feeling upset over how a pet is implemented. This has been a long-time coming, but I think it's time to address the seeming trend in Legion. Activity-exclusive battle pets. The direction of pets becoming more and more exclusive to a specific activity, with no other recourse other than to do said activity, is becoming exhausting and discouraging. It feels as if a certain balance between multiple gameplay factors has been lost or abandoned, and things are becoming too extreme. Why is Micronax and the achievement it's tied to so disliked by some in the pet collecting community? What makes this situation any different from other achievement pets? Micronax pushes the boundary of what collectors need to do to fulfill their style of gameplay. It's the FIRST pet reward from a raid meta-achievement. The closest exclusive pet from a group-achievement is Lagan. Even that pet was somewhat crossing the line for a few collectors, as it required the help of 4 other players in a Mythic dungeon. Many see Pet Battles and pet collecting as more of a "solo" and "casual" style of play. And Lagan put collectors in a position where they had to travel outside of that preferred style. 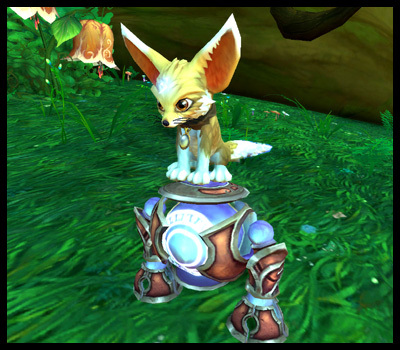 However, other achievement pets fit more inline with solo-gameplay. Zoom, for example, is a from a quirky achievement that can be completed alone OR with others. The upcoming Micronax cannot be earned alone, at least for a few expansions. There's no option but to either wait that long or do the achievement yourself. More and more collectors are feeling pushed out/away from their preferred gameplay because of the extreme and exclusive direction Blizzard is taking with pets. Pets seem to be treated more like any other reward in Legion, rather than a mini-game localized to itself. It's understandable that the developers want to encourage everyone to try new aspects of the game, but for a collector, Legion is starting to feel more like mandatory participation and not so much like encouragement. I've heard multiple times throughout the community a growing sentiment that Blizzard would much rather push players into activities they may not wanted to participate in, instead of maintaining pet collecting. They feel coerced and forced into parts of the game when all they would like to do is collect pets/play solo. For collectors, the pet IS the game, the goal, the activity. To gate this gameplay behind another activity that's completely unrelated...it's only a matter of time before it's just too demoralizing to continue. As Liopleurodonic once said, "...it's a lot easier to stay motivated when completion is an attainable goal." I was really hoping that Micronax would be tied to the Glory achievement, but not directly like the title. My hope was that it would be similar to the MoP and WoD Challenge Mode pets, and collectors would be able to find a pet-friendly guild should they be unable to or unwilling to complete the achievement themselves. This would give collectors options, something that seems to be missing these days. I think this is one of the reasons why collectors are starting to feel more alienated. The options are disappearing, and the number of pets in Legion where there's only one way to collect a pet is growing. It's getting overwhelming. The carrot being so far away has left some collectors feeling like there's no point, no hope, not doable, why bother. Do I think it's ok to have some exclusive pets? Sure. Some variation is nice and probably healthy for the game. But I think there needs to be a balance with exclusive pets. Maybe make them tradeable or cageable in the future. Maybe add them to a number of different exclusive sources. Even better yet, keep the number of exclusive pets to a minimum, while providing an abundant number of pets readily available for all collectors. Balance. Options. These would make situations like Micronax, the class exclusive pets, the PVP pets, feel better for many collectors. Sometimes that's what people need - even if it's all in their head, you can't understate how important it is to FEEL positive/hopeful about something. Balance the RNG better with other factors. Requirements should be reasonable (as subjective as that is). Give collectors different ways to collect pets. Keep the number of exclusive pets small, allowing collectors to feel that there's much more they can actually accomplish rather than not. I recognize that much of this post is entirely subjective. How one person views pet collecting in Legion may not be the same as how someone else sees it. My thoughts may not accurately reflect that of the entire community. I am merely pointing out my observations and thoughts on this matter. My personal feelings about Micronax and similar activity-exclusive pets are more ambivalent. Part of me is not happy but is willing to accept it. Part of me is hopeful that there will be changes made along the way to help out collectors (pets changed to BoE and/or cageable). And part of me is deeply invested in the community and wants to see collectors happy and excited about a new pet, not upset and disappointed. We, as pet collectors, need to admit and accept that the pet collecting environment is probably changing. Perhaps exclusive pets are just how things will be from here on out. Pets may not be just for Pet Battles anymore, and we may see more pets added as mere rewards for various activities. We must consider that developers might be looking at a bigger picture, and these exclusive pets are intended as long-term gameplay. Content that doesn't have to be completed right away, and it's something that's perfect when there's not much else going on later down the line. It's also possible that they have plans for the future to make exclusive pets less exclusive and more inclusive. However, I still hope that developers will acknowledge that some pet collectors are feeling very discouraged and alienated. That there's ongoing sentiment that pets are being used to force players into different aspects of the game, rather than in an already established mini-game. And that Blizzard will take all of this into consideration and possibly address these issues going forward with pets that are implemented in a more thoughtful and collector-friendly way. Death Knight and Monk Class Pets - Final Thoughts? I collected my third and last DK pet this evening, and I wanted to record my thoughts on the entire experience while it's still fresh in my mind. Initially, the task to level up a character, gear up enough to complete all necessary quests and campaigns, and then collect enough AP to earn Concordance on not just one but THREE weapons -- all of this seemed like a very daunting task. Doable, but it's nothing like anything pet collectors have experienced before. I was, and still am, concerned about how many steps it takes to collect these pets. Even after finishing my ultimate goal of collecting all three DK pets, my point of view on the requirements for these pets is still shaky. I'm still undecided if it's too much for the average pet collector. This is largely because my personal experience collecting these pets was relatively good, making me biased about the whole thing. My own DK adventure was probably not average either. Instead of leveling to 110 and then waiting for AK40 to begin sinking AP into my weapons, I played my DK almost as much as my main. Even before AK40, I chased after all the AP that was available outside of raids and dungeons, and completed content as it was released. Every. Single. Day. I know there are plenty of collectors who do not enjoy the class and/or do not have the time to play as I did. Looking at it from their perspective, collecting all three DK pets is indeed very intimidating. Again, doable but the carrot seems very far away. It's understandable how that can be demoralizing. So in regards to the requirements for these class pets, I still can't say for certain whether or not I agree with how they were implemented, even after completing the task. Do I think the requirements are too high or unfair? I don't know. I really don't know. Is this task beyond that of a collector/player? Nope. It's doable. That's about as much as I can confirm without any bias. I'm getting a better glimpse of the entire experience on my Monk. She "took a break" once she reached 110 and completed the necessary prerequisite quests and storylines for the pet. Logging in mainly consisted of collecting/using follower mission rewards. I believe I left her off at weapon level 30-35ish (all from miscellaneous AP rewards from leveling, questing, treasures, and follower missions), and only returned to play her once I was able to send her an AK40 Tome from my main toon. With my Monk's AK at cap I'm only now beginning to collect AP in earnest. She's earned her mount and is diligently going through the Suramar for the (large) AP rewards. Only a day after class mounts were unlocked and her weapon is already level 47. Much like my DK, my Monk's AP is mainly coming from quests, WQs and follower missions. Thankfully, Monk only needs one weapon with Concordance, unlike DK which needs three. The increased AK is real boon IMO. It feels really good to see a huge amount of AP from a single token, filling up your weapon bar and alerting you that there are points to be spent. It's probably just psychological and all in my head, but I think this is what was needed to help make the "grind" more tolerable. Monk is not my preferred class, and I would much rather play other characters, but. This. Is. Doable. If I didn't have as much time as I do, would I still feel the same way? Maybe. Maybe not. I'd have to concede that yes, it can be accomplished overall. But the fact that the end result is SO far away due to time constraints or other factors... it makes it seem like it's NOT feasible. But I want to reassure all collectors that it's an adventure like none other, and it's worth going for. If you enjoy collecting and love pets, just look at this as a long-term project. Developers have stated that there are no plans to remove the pets, so we'll hopefully have plenty of time (even post-Legion?) to collect everything. Stay determined and dedicated. "Hard", "easy", whatever -- these terms are all relative and mean different things for different people. The bottom line is: It. Is. Doable. And YOU can do it! DKs and Monks rejoice, today is your day! Starting today, players can earn their class mounts (if they've completed the prior quests in the Broken Shore campaign), which means unlocking class pets. Yay! Note that reaching AK 25+ for Step 4 can be accomplished either through work orders or by buying an AK Tome on a character with higher AK. There's more to this month than just class pets though - here's a quick reminder of all the pet-related events occurring in June. For a full list of all events, not just pet ones, check out Blizzard's official blog post. This week has been full of pet news! Second bit of news comes from the 7.2.5 PTR. Two new pets and an updated pet from a previous build. The Ageless Bronze Drake uses a mount model, scaled down, which is pretty neat! It's possible this is just a placeholder model though, but having more mini-mount pets would open up so many pet possibilities! I'm not quite sure if the Time-Lost Wallet is a general reward for completing the scenario, or if it's more of a rarer drop/reward. It's also unclear how often we can complete the scenario. In general, even after reading a preview, I really don't know/understand much of the new feature. All I know for sure, so far, is that I dislike timed-events...which is what the Chromie scenario seems to be. Hopefully more information with more detail will be released soon. The other newest pet, Sun Darter Hatchling, is very lovely indeed! It's unknown where the Oddly-Colored Egg will come from, however the flavor text of the pet makes it sound as if it could come from Argus. Either directly from the future zone, or transported to Azeroth from the other world. Again, all of this is subject to change, so we'll just have to wait and see! For those in the NA region, mark your calendars! This week is the Pet Battle Bonus event, and Squirt is due to arrive May 19th. According to this handy chart, it's the only day (so far?) where Squirt's arrival and the Pet Battle Bonus event overlap. Time to gather up all of those Pet Treats (although these might not even be needed when facing Squirt during this event), don your Safari Hat, and get your pets ready for some power leveling. To put it short and sweet, Exalted with Armies of Legionfall is no longer required to collect the DK and Monk class pets. The "grind" is now mainly about collecting enough Artifact Power to unlock all weapon traits. This news was revealed on a recent Developer Q&A this past week. Q: Will the exalted requirement for class mounts be account wide? A: No, it will not be account wide. But...that requirement has been removed! We did want people to have flying before the mount but now we see with how pacing has worked out that that is not a worry. So no, you do not need exalted for class mounts. Just completing the Legionfall campaign and the finale of that for your class = unlocked class mount. Completing the class mount quest line is necessary to unlock the class pets on the vendor. Without the class mount, players won't be able to see the vendor items at all. 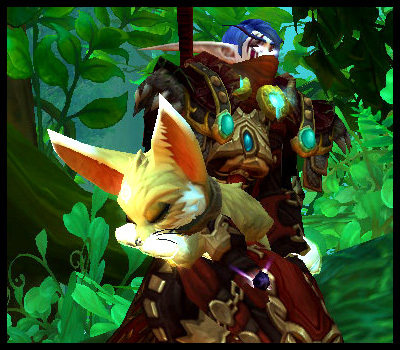 Now that Exalted is no longer required to access the class mount quests, this means reaching Exalted is also no longer necessary to collect the pets. This is GREAT news for players working on alts (and heck, this is good news for mains too). Those that planned to wait for their main to reach AK 50, so they could send alts a level 45 AK Tome, can now do so without worrying about meeting other "grindy" requirements for the pets. With this change, here's the updated process for collecting the DK and Monk pets. 8. Level weapon(s) to 52. One thing that should be noted though, is that collectors will want to reach Exalted with Armies of Legionfall on at least one character. The Paragon reward chest (earned every 10k reputation after Exalted) has a chance to drop a new pet, Orphaned Felbat. This post is late coming but as some may already know, the Wonderous Wisdomball is now Bind on Pick Up as of Patch 7.2. I only made this discovery after finding out I overlooked one of my alts that had the quest to obtain this pet. Double-checking the reward and to my dismay the item that teaches the Wisdomball was not Bind on Use, as I expected it to be, but instead BoP. This companion remains un-cageable. @RestoKay on Twitter discovered a Wowhead comment that strongly implies this change from BoU to BoP was intentional. It's pretty disappointing news for many collectors, but I suppose it shouldn't come as a huge shock. Pets that are not cageable are usually that way for a reason - the developers want them to be exclusive, unique, and earned through specific means by players themselves. Another example of a "bugged" pet item this expansion is Lagan. Initially, completing the achievement Poor Unfortunate Souls rewarded a BoU pet, however upon adding it to the Pet Journal it became uncageable. It was a very odd circumstance, as all other achievement rewarded pets are not tradeable or cageable in any manner. Lagan was an anomaly. So it really shouldn't have come as much of a surprise when Lagan was eventually fixed in late Januaray and its binding was corrected to be BoP. However, I think what was more shocking was how long developers let the pet continue being bugged with the wrong bind, without any clarification that that was the case. I think this is what really caused upset within the collecting community. The same can be said for the Wonderous Wisdomball. Some collectors are not happy about the change, and rightfully so. After we've come THIS FAR into the expansion and the bug is only being fixed now? Without prior word or clarification on the intended binding of the companion? Perhaps it wouldn't be as big a deal had there been an official note stating that Lagan and the Wonderous Wisdomball were bugged, and they should not be tradeable or cageable -- collectors would know what to expect and what's intended. But since a forewarning wasn't made available and I don't think Blizzard can give us a heads up every single time, I think we could all use a refresher on how battle pets (usually) work. Here's quick review of what the general binding standard is for pets. Keep in mind there will always be unique cases, and not every pet will (or has to) follow these guidelines. Pets that are not cageable are normally not tradeable. If they are, it's probably unintentional (bugged). Not tradeable or cageable in any manner. Depends on the pet and source. Can be a mix of BoP, BoU, cageable, and not cageable. Not tradeable or cageable in any manner, with the exception of the Guardian Cub. Not tradeable or cageable in any manner, with the exception of TCG pets. Mix of BoP and BoU, but almost always cageable. It's truly disappointing news about the Wonderous Wisdomball; many collectors are still battling RNG and were hoping to buy one at a reasonable price. With this change, the ONLY source for this companion now is a drop from the Kirin Tor emissary. It doesn't occur very often, so better rally all of your level 110 characters to be ready to complete some WQs when Kirin Tor does pop up. And if a collector receives a second Wonderous Wisdomball? We've seen that Blizzard has the tech to turn a previously un-cageable pet into a cageable one, as with the case of Bonkers, so we can only hope that Blizzard will make the Wonderous Wisdomball cageable post-Legion. Right, Khadgar? You're killing me here, Khadgar.